You have heard of Cheeseburgers! You have heard of Burritos! 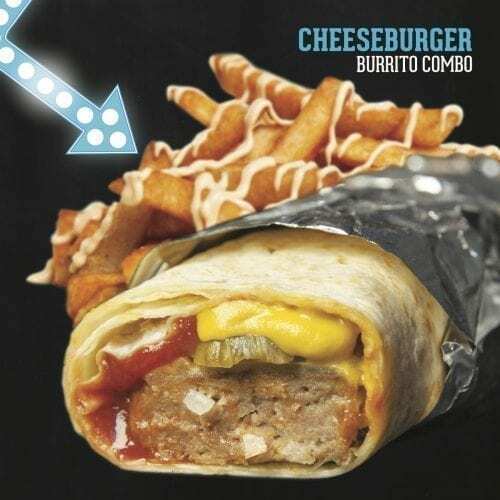 But have you ever heard of a Cheeseburger Burrito? Well we went there….Introducing the new Cheeseburger Burrito Combo! It contains a Cheeseburger Burrito and our famous Mexi Fries for $9.95. Add a Milkshake for just $5 (Choose from Chocolate, Caramel, or Pina Colada) All the delicious goodness of a Cheeseburger….jammed into a fresh delicious tortilla. Enjoy in any Burrito Bar store for a limited time only! After the success of our store in Ballina, and after many requests from the wonderful people of Northern New South Wales, we opened our newest store in Grafton! We are very appreciative of the warm welcome that the local community has provided us! If you wanted to come in and give us a try, we are at 52 Fitzroy St, Shop X1, The Courtyard, ShoppingWorld! We are open everyday, 11am-9pm! See you soon! 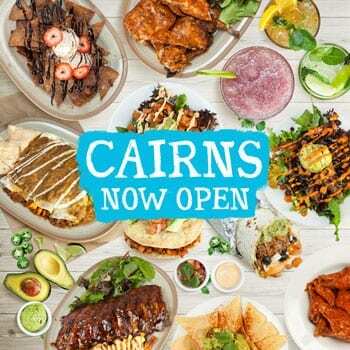 Venturing out into the Tropics of Australia, the Burrito Bar continues to go from strength to strength and we have landed ourselves in beautiful Cairns! And what an amazing reception we have received! Our 30th store is located in the Smithfield Shopping Centre on the corner of Captain Cook and Kennedy Highway. We hope to see you soon! Our delicious Mexican Food and Cocktails are waiting! Delicious Chocolate Chimichangas for dessert. Note: Sticky Wagyu only available for a Limited Time. What’s more is that we are offering the opportunity for you to win a Year’s worth of Burritos. * To enter, come in Dressed up, upload a photo or video of you to your local Burrito Bar Facebook page you are attending. We will choose the winner from there. Engagement and Creativity will be taken into consideration. So Dine In, Dress Up, Eat plenty of food, and celebrate with your friends and family. We will be ready for you on November 2nd! 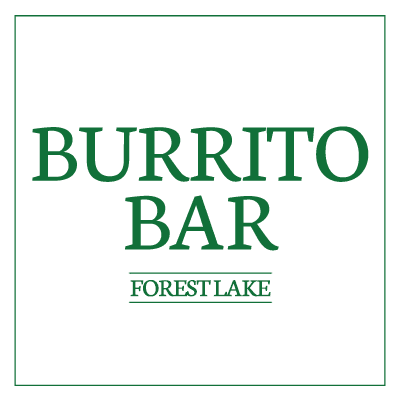 The Burrito Bar Opens In Kenmore! 25, 26, 27…….28. Kenmore is our 28th store to open! Situated on Moggill Rd, our newest store is boasting our menu full of succulent flavours, tasty cocktails, and filling food! The response from the local community has been phenomenal. We have been overwhelmed by the support we have received from our customers. Perhaps you would like to try our newest range of Unique Salsas! How does some Mexican Ranch sound to you? What about some Roasted Tomato Salsa? Cilantro? What about our Skinny Chicken Burrito? That’s right! Now you can get a Burrito without Rice or Black Beans. Delicious! Our store is somewhere suitable for the whole family, a couple, or just friends catching up! Find us in the courtyard at 2060 Moggill Rd, Kenmore, QLD, 4069! We look forward to seeing you soon. Exciting News: We are proud to call Peregian Springs the home of our 27th Burrito Bar. We are glad to see that the beautiful Sunshine Coast is full of Modern Mexican Fans. We continue to be humbled by all the new communities we are welcomed by and Peregian Springs is no exception. If you want to indulge in a sneaky cocktail, or a plate of Beast Nachos, come down and see us at Shop 11-12/1 1 Ridgeview Drive Peregian Springs to try us out. Perhaps you want to try out our famous Mexi Fries? What about our super sweet Chocolate Nachos? Enchiladas? What about some succulent Ribs or tasty Wings? Come in and say Hello. We’d love to see you. 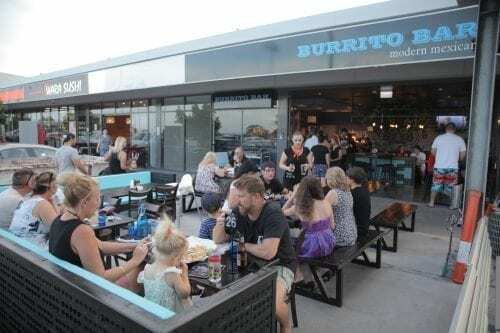 The Burrito Bar Opens in Point Cook! 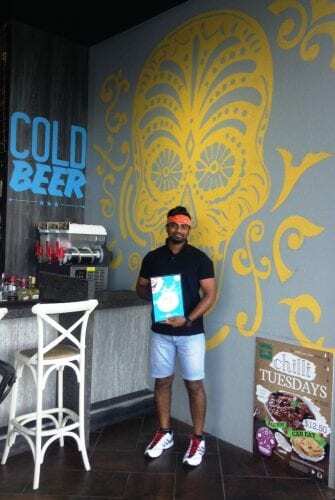 After opening many a restaurant in Queensland, Point Cook called for us! In Melbourne’s west, we have opened our first Victorian store and the response has been incredible. We are located in the Point Cook Town Centre at Address	T 402B Murnong St and would love to see you. We have been serving up delicious Nachos, Burritos, Cocktails, Enchiladas, Tacos, and much more for Point Cook’s fantastic community! The Burrito Bar opens its doors in Silkstone! Another day, another Burrito Bar opens. This time we have set up shop in Silkstone! With our delicious Modern Mexican menu and our tasty Cocktails, we have been so happy to meet and serve the awesome community of Silkstone. 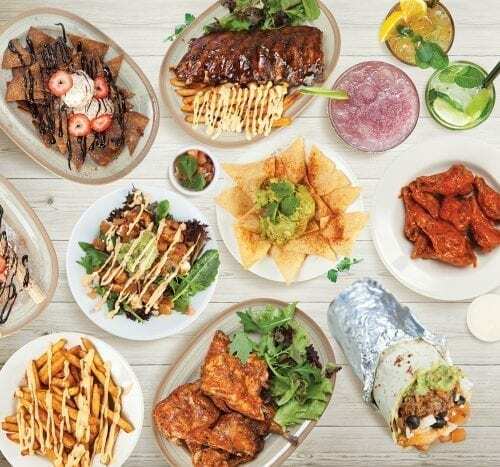 If you are looking for a night out with friends, or a place to take the family, we have you covered with our wide range including Quesadillas, Nachos, Mexi Fries, Crispy Wraps, Tacos, and of course, Burritos! Salivate over some Char’d Beef Ribs! 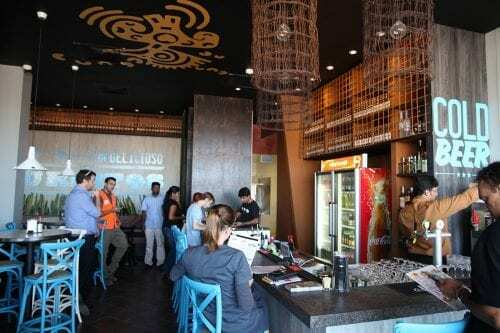 The Burrito Bar opens its doors in Townsville. 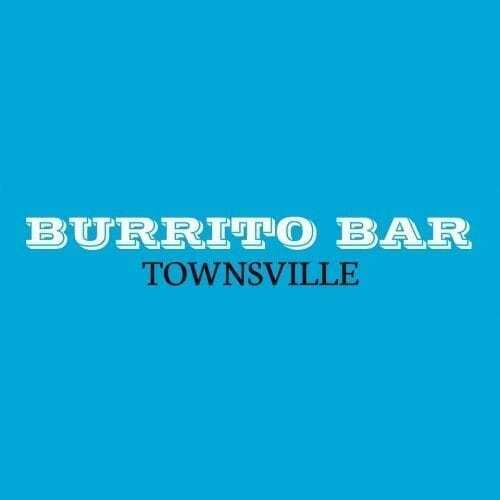 Townsville is the 23rd instalment in the Burrito Bar franchise and the first store in North Queensland. 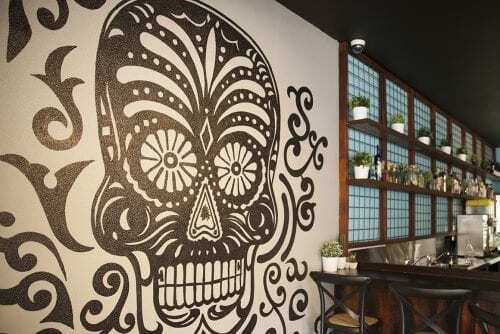 The Burrito Bar is more than Mexican boasting a delicious range of Crispy Wraps, funky Cocktails, Mexican Fries, Ribs and Chicken Wings. Perfect for a night out with your partner, our intimate environment allows for private discussion over delicious tasty food. If you are looking for a night out with your friends, why not start out with some tasty food and delicious cocktails or beer? Come and see us at 109 Thuringowa Drive, Kirwan. We’d love to meet you soon! The response from the Holmview locals has been overwhelming and we look forward to serving you delicious food and drinks for some time to come. THE 20TH BURRITO BAR OPENS AT CORNUBIA! The Burrito Bar continues to go from strength to strength with its latest store opening its doors in Cornubia. The local community has been an amazing support for us and we thank everyone for coming in to see us in our first week. 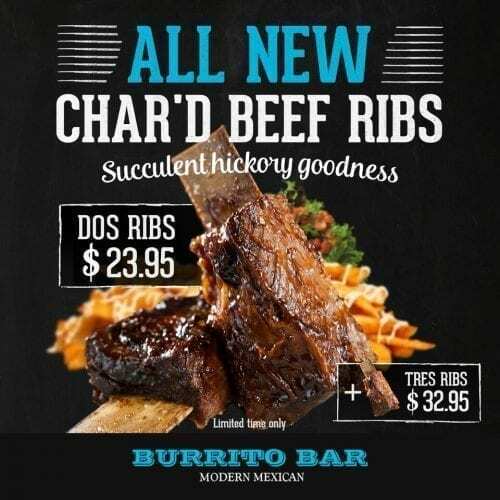 BURRITO BAR LAUNCHES NEW MENU! Yes, that’s right. We have just launched a delicious new menu for you to feast your eyes upon! Have you tried Chocolate Tacos before? How about a Prawn Burrito? Not to mention the range of Tasty Enchiladas we have just brought out and tasty Steak Salads. Burrito Bar just arrived in Toowoomba! After a long wait, where we wholeheartedly thank our fans for their patience, it’s happening. It’s real. We’re open TODAY. 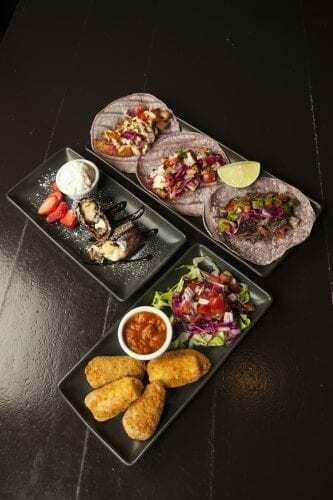 As good things come to those who wait, we bring Toowoomba a breath of fresh air with modern Mexican recipes and a menu guaranteed to take you weeks to try it all! 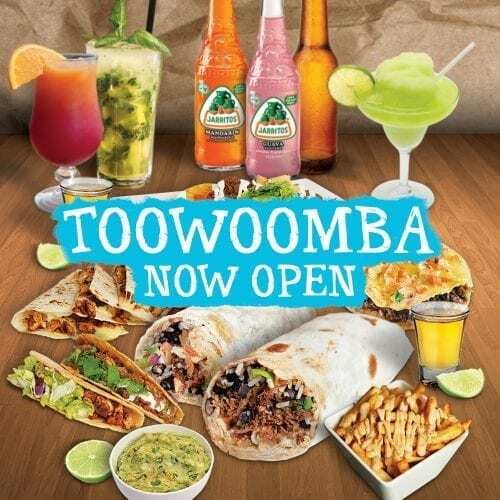 From our crowd favourite burritos, tacos, nachos, wings and chocolate nachos to our brand new additions like chocolate tacos, grilled chicken, crunchy Mexican pizza, enchiladas, Mexican salads and more, they are all on our Toowoomba’s menu! Enjoy a range of tequilas, wine, beers, cocktails and sangria in our fully licensed store! Drop on by and check out our brand new Toowoomba store here! 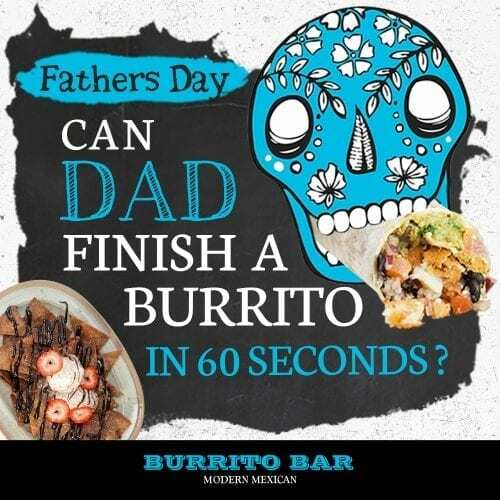 CAN DAD FINISH A BURRITO IN 60 SECONDS ON FATHER’S DAY? This year, we are rolling out a very special challenge for Father’s Day at Burrito Bar. Can Dad finish a Burrito in 60 seconds? We hope so! You just need to bring in the kids (or show us a photo of your kids) and order a Regular Burrito. We will have our staff time how quickly you can polish your Burrito off on this special day! If you get it down under 60 seconds, we will award the table a Family Sized Chocolate Nacho served free of charge! Boom! Father’s Day isn’t meant to be boring, so come on in and step up! To partake in this challenge, you will need to Dine in! Happy Father’s Day from the The Burrito Bar team! It’s that time again! 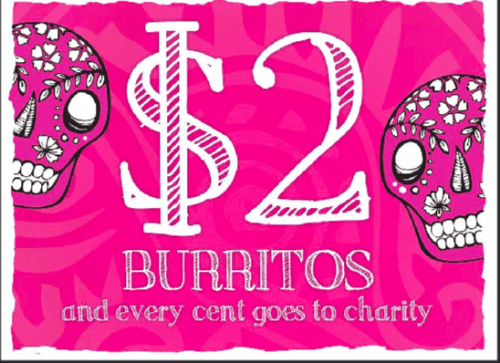 Another $2 Burrito Day to ignite taste buds and raise money for charity! Our Banyo store is having its $2 Burrito Day on Sunday, the 14th of August. We will be serving up delicious Burritos for just $2! Choose from Beef, Veggie, Pork or Chicken. The best part? All proceeds go to Rize Up Australia who does great work for victims of Domestic Violence. 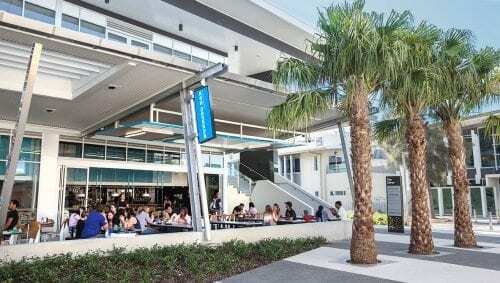 The Burrito Bar is expanding to Gold Coast! It has been one hell of a ride for us to date. 15 stores across Brisbane and now we are moving to Gold Coast! Australia Fair shopping centre in Southport is the next home for Burrito Bar as our legacy starts to expand to other parts of South East Queensland. If you are ever nearby, we would love to have you drop in and say hi! 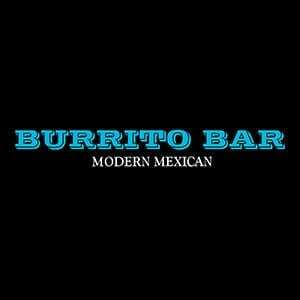 Burrito Bar’s 15th store is here! Our newest addition is our Skygate DFO store. We are open during the day from 11am to 6pm with all your menu favourites. You can find us at Shop 1A-17, The Corso, Ninth Avenue. It’s almost that time of year again! The time of year that we appreciate Mums for all the work they have done. 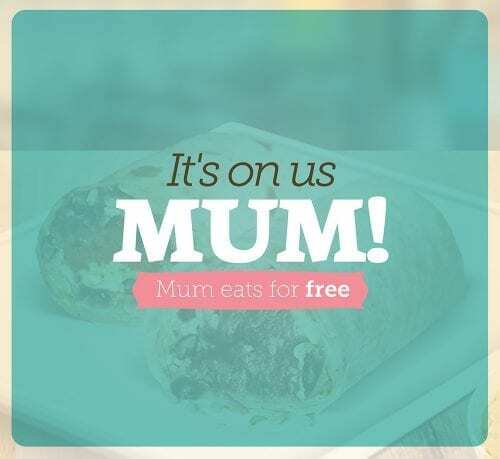 Here, at The Burrito Bar, we are taking our appreciation a step further and letting Mums EAT FOR FREE! No need to slave away in the kitchen on your special day! Come into any of our stores on Sunday, the 8th of May 2016, and Mums can relax on while treat themselves with our delicious food without breaking the bank. T’s & C’s: Dine-in only and just bring in a photo or your kids to show off your hard work. Free meal is a choice of: 1x large burrito, 1x nachos (exc. Beast nachos), 1x quesadilla or 2x tacos. The rumours are true. The Burrito Bar is coming to Skygate DFO to bring our delicious Nachos, Quesadillas, Burritos and Tacos to the Local Amigos. Skygate is the 14th store in the Burrito Bar saga and we are excited to keep growing and meet more and more of our brilliant customers. We are pleased to share that our latest $2 Burrito Day was a massive success at Park Ridge. Thanks to our awesome partner, Rize Up Australia, we were able to raise $2500 for victims of Domestic Violence. We appreciate all of the Park Ridge residents who came out and supported this special day. We couldn’t have done it without you and we look forward to seeing you all soon. 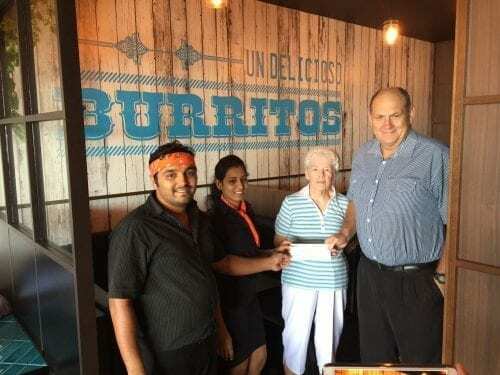 It is a great pride that we are able to let you know the results from the Caboolture Burrito Bar’s $2 Burrito Day. 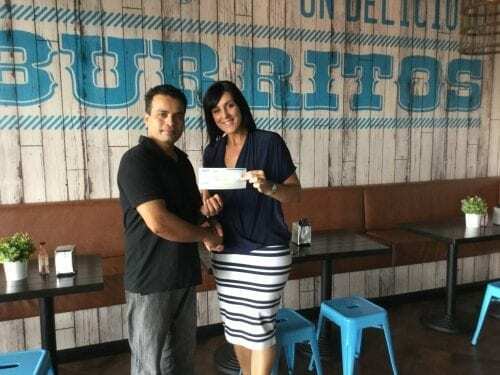 As you may or may not know, The Burrito Bar Caboolture partnered with Caboolture Regional Domestic Violence Service to raise some much needed funds. The amazing community at Caboolture rallied behind this cause and helped raise $3648. That’s 1824 Burritos sold!! 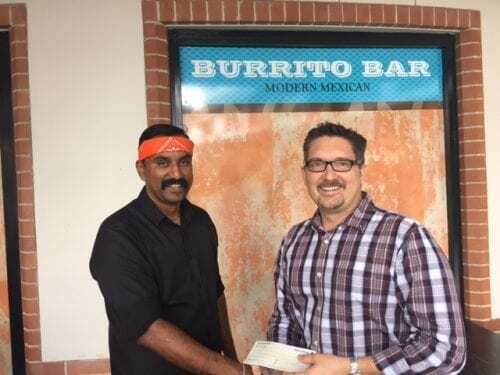 The Burrito Bar are humbled by the generosity showed by the community and appreciate all the effort that went in to contribute to such a worthy cause. In a long history of successful $2 Burrito Days, it is now the time for Park Ridge to step up to the plate! We have our amazing Mariachi Band play while you enjoy $2 Burritos with your family and friends. The best part? All proceeds go to a local charity and routinely raise in excess of $3500 for these charities! 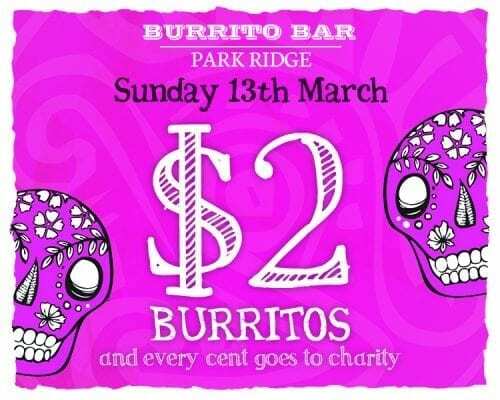 So come down to Park Ridge Burrito Bar to enjoy some delicious food and raise some much needed funds for charity on Sunday, the 13th of March. Address: Shop 5, 3714-3722 Mt Lindsay Highway, Park Ridge. T’s & C’s: 2 Burritos per person, per visit (Yes you can line up again). Pork, Veggie, Chicken and Beef available. The $2 Burrito Days at Burrito Bar just keep rolling in. Next in line is Caboolture! On Sunday, the 21st of February 2016, Caboolture Burrito Bar will be selling $2 Burritos (Beef, Chicken, Veggie and Pork available) from 11am to 7pm. What’s more? All proceeds will be going to a local charity. In this case, it will be Caboolture Regional Domestic Violence Service and Centre Against Violence. We knew the folks of Forest Lake were a great bunch. But the generosity shown by the community when we ran our $2 Burrito Day was quite incredible. Many community members came out to purchase a $2 Burrito to support Montrose Therapy and Respite Services. Montrose is a great organisation and makes such a fantastic difference to young people with disabilities. The Forest Lake community bought a whopping 2200 Burritos for the day raising a decent $4400. We thank all who participated in and for the incredible support. We are all smiling from ear to ear and when things like this happen we know it is worth it. They just keep coming! Another $2 Burrito Day is on the horizon! 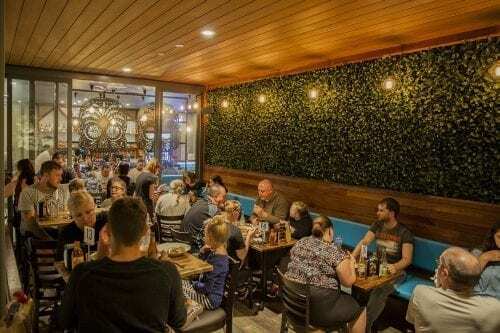 The Burrito Bar Carseldine is the next store in line to dish up delicious $2 Burritos to the legendary amigos of Carseldine. We will be selling $2 Burritos from 11am to7pm and as always, all proceeds will go to a charity. On this occasion, we are partnering with St Vincent De Paul’s! It’s Back!! Our first $2 Day of the year will be hosted at The Burrito Bar Forest Lake on Sunday, the 31st of February. Come on down to taste our delicious Burritos for just $2 Each. We will have a Mariachi Band playing some soulful tunes for you and all proceeds will go to Charity! Unfortunately, we need to put in some rules to keep the day fair for everyone: Limit of 2 Burritos per person per visit can be purchased (Yes you can line up again). 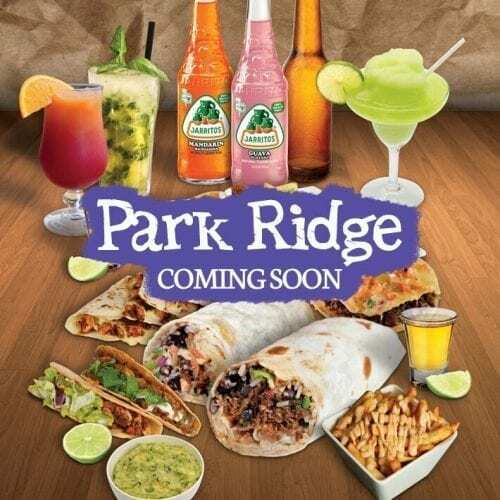 Park Ridge is the next home for The Burrito Bar franchise and we are excited to announce we are moving in! We are going to continue to serve up our trademark Burritos, Nachos, Mexi Fries, Cocktails and Tacos while enjoying the warm company of the Park Ridge locals. It is time!!! 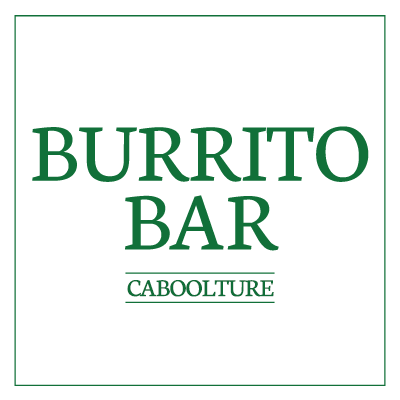 Caboolture Burrito Bar opens on Thursday, the 26th of November. It is time for our delicious Mexi Fries, Nachos, Nacho Fries, Ribs and Cocktails to make their way into your eager mouth! Boom! We are located at Central Lakes Shopping Centre and we look forward to meeting you! Get excited! 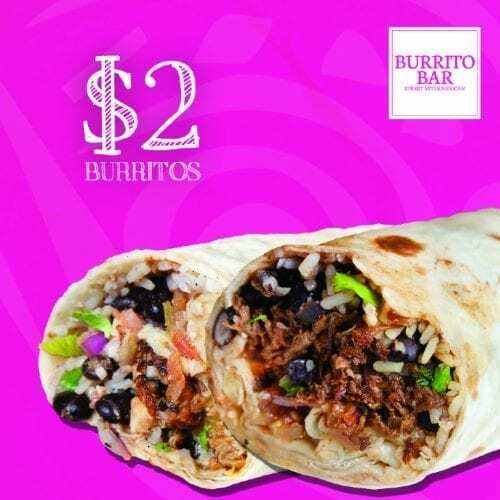 BB’ers rejoice for our $2 Burrito Day! It is coming to Spring Hill this Saturday, 14th November 2015. Enjoy $2 Burritos all day long and the best thing is all proceeds go to the local charity, Lions Medical Research Foundation. It is based in Spring Hill and they support critical research in many illnesses like Parkinson’s disease, kidney disease, asthma, diabetes, skin cancer, cancer therapies, bone and joint disease and among others. So come on down and support a great local charity, enjoy some burritos plus LIVE music, giveaways and more. Our next $2 Day is here Amigos! 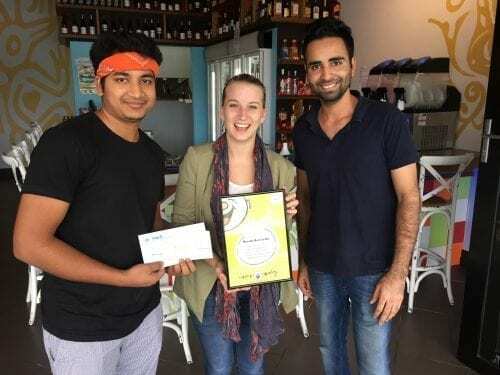 The Burrito Bar Clayfield is hosting its $2 Burrito Day on Sunday, November the 8th. 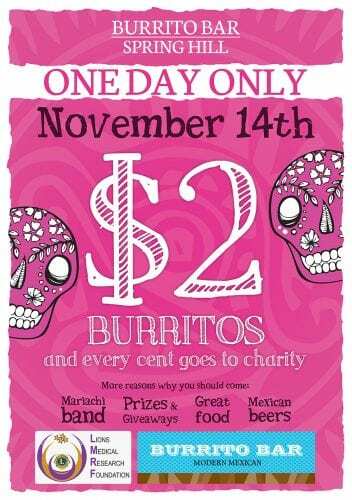 We will have $2 Burritos available all day long, and every cent goes to the charity! Woohoo! Choose from Beef, Chicken, Veggie or Pork while you listen to the awesome tunes our Mariachi Band are playing! Clayfield, let’s have a blast! Hola, Chapter 11 in the Burrito Bar series involves a special suburb called Carseldine. 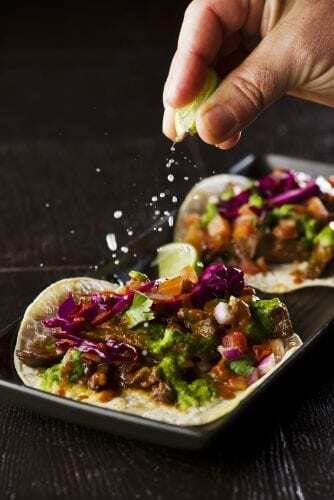 We are excited to party with the Carseldine Locals and serve up delicious Modern Mexican 7 days a week! All the favourites such as Mexi Fries, Ribs, Cocktails (Hello El Diablo), Beast Nachos and Crispy Wraps will be available for you to devour! 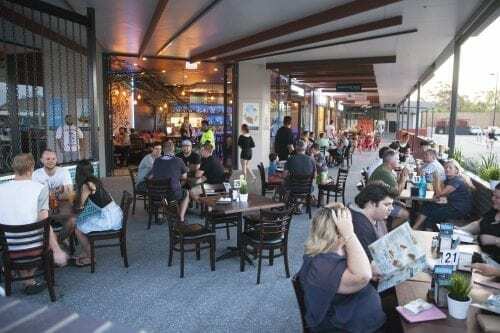 Once upon a time, a little Burrito Bar opened in the suburb called Rosalie, nestled next to its bigger, and more famous brother suburb, Paddington. Shiny-eyed, with high hopes, they took the area by storm, capturing the attention of the locals and media. But its limelight was stolen with the opening of Burrito Bar at Portside Hamilton years later. “Ooh la la, look at me”, thought the Rosalie store jealously. Then, Victoria Point, Marsden and the whole gang came along. But its time has come. The Rosalie store is undergoing a plastic surgery, new walls, new artwork, new kitchen, new doors, tables and chairs. An all new experience for its beloved customers. Rosalie re-opens TODAY ladies and gentlemen. What a glorious day it is. RECORD DONATION TO CAMP QUALITY! Another $2 Burrito Day, another great partnership with Camp Quality. We sold an unbelievable 1731 Burritos at Everton Park, however we like round numbers and have decided to round this up to 2000 Burritos. That means a record donation of $4000 for Camp Quality. It is always a pleasure for us to partner with such an amazing charity that do incredible work. Upwards and Onwards is the attitude here at Burrito Bar. As we are now expanding to Forest Lake and we are excited to meet all the smiling locals. It has been a success of all our stores to date that we couldn’t resist moving out to meet the beautiful people of Forest Lake. We will be bringing all our Burrito Bar deliciousness to you all with your favourite Cocktails, Ribs, Burritos, Tacos, Crispy Wraps, Churros and Chocolate Nachos. 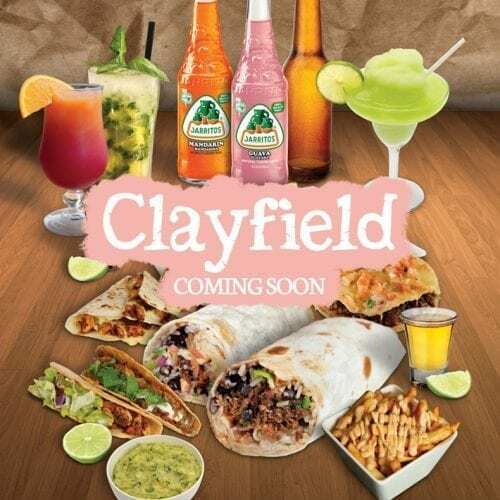 BURRITO BAR CLAYFIELD OPENS FRIDAY AUGUST 21ST! We are excited to announce that The Burrito Bar Clayfield will open its doors on Friday, the 21st August 2015. We will be located at the corner of Oriel and Sandgate Rd at Oriel Place and we can’t wait to meet all the locals. It is the 9th instalment in the Burrito Bar series with many more to come and many Cocktails and Burritos to be still had. Come in and say Hi, we are looking forward to meeting you! Everton Park, the big day has come. 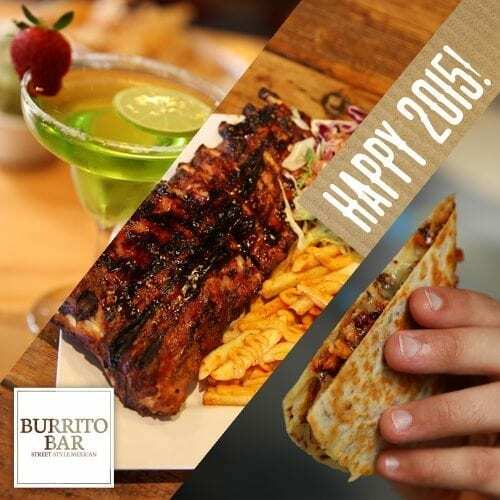 On 23rd August 2015, we’re doing $2 Burritos all day long! 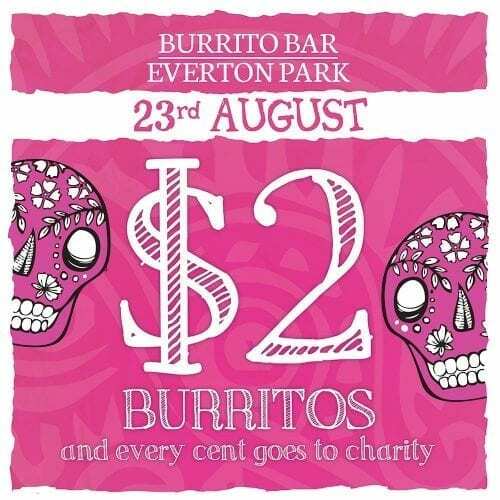 Lock in your calendars, hide your Sunday plans and prepare to rock out at Burrito Bar Everton Park. There’ll be live music from our Mariachi band (come at lunch!) and more. This event is on for 1 day only, so don’t miss out! And the best part? All burrito proceeds go to the charity, Camp Quality. Feels good, right? Tell your friends and family, we’ll see you there! One burrito per person, per transaction. (Yes, you may line up again afterwards, it’s just a short wait!). Burrito choice is: Beef, Chicken, Pork or Veggie. After the recent success of our Everton Park and Spring Hill stores, Burrito Bar is expanding yet again!! This time we are heading to Clayfield! Oh boy, we are so excited to meet all the local residents who love their Crispy Wraps, Cocktails, Mexi Fries and Ribs. Building upon the success of our recent expansion to Victoria Point, Everton Park and Marsden, we have now set up our camp in Spring Hill! 8 stores and counting! 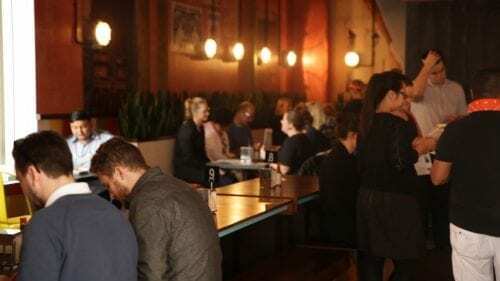 We opened our doors to the amazing people of Spring Hill at 170 Leichhardt St on the 24th of June, and have been astounded with the positive response. It is good to be here Spring Hill. We love our new neighbourhood! SPRING HILL! WE ARE COMING! Oh yes amigos, The Burrito Bar is set to expand yet again. This time…we are coming to Spring Hill! You can find us at 170 Leichhardt St and we will be opening our doors to you all wonderful people on the 24th of June. We will be serving up our famous Mexi Fries, Burritos, Nachos, Ribs and Cocktails as usual. 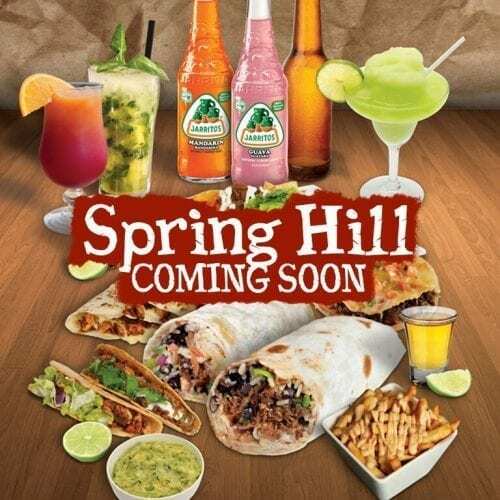 Spring Hill…we are pleased to meet you! Due to the overwhelming support of the amazing amigos of Marsden, we were able to raise $1520 for Camp Quality. Thank you to everyone who came to our grand opening and supported this amazing charity. 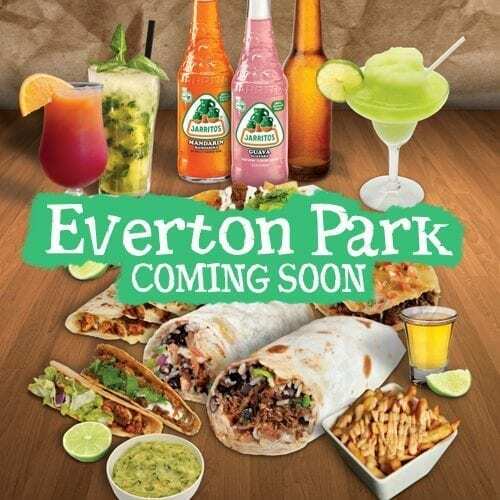 Hold onto your Tacos because our Everton Park Burrito Bar has now arrived!! We are situated in the Everton Park Retail and Home Improvement Centre at Shop 3 & 4, 768 Stafford Rd. So far we are thrilled to see so many smiling faces and happy customers. We can’t wait to meet the rest of the neighbourhood. Thanks to everyone who has come in to date and we hope to meet many more of you very soon!! WE ARE COMING EVERTON PARK! In the latest instalment to the growing Burrito Bar franchise, we are venturing further north to meet the beautiful people of Everton Park. 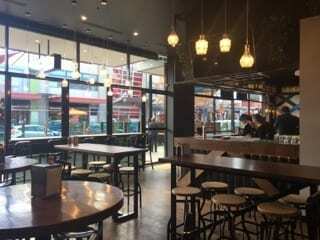 Opening on Wednesday, the 13th, in the Everton Park Home and Retail Home Improvement Centre, we will be serving up the tastiest Burritos, Tacos, Quesadillas, Ribs, Cocktails and so much more. Oh yeah, drumroll please! Our Marsden store is having its grand opening on Saturday, the 9th of May. 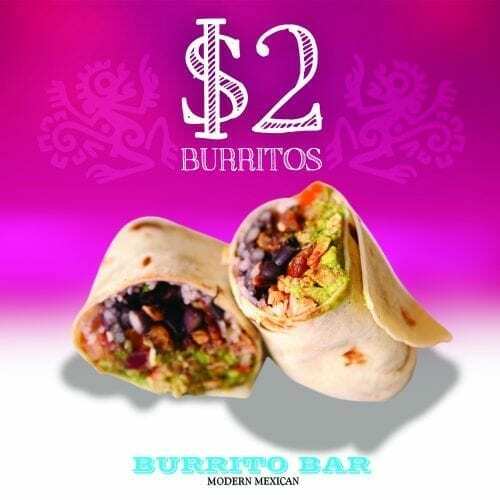 Clear your calendar because burritos at The Burrito Bar Marsden are going to be $2……ALL…….DAY…….LONG. We are proudly partnering with Camp Quality who will receive all proceeds from the day. If you have been looking for the perfect excuse to come and try our newest store, then your opportunity has arrived. For those of you who receive our email newsletter, you will recall that we recently sponsored a special dog. His name is ‘Taco’ and his start of life was quite horrible. If you are unfamiliar with Taco’s plight you can read the full story here. 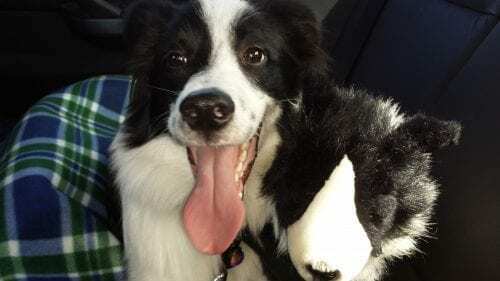 Missing half a leg from an early age, Taco needed some urgent surgery and we are happy to say that with the help of The Burrito Bar community, the fundraiser is nearly complete. We appreciate your help supporting such a beautiful animal and we will keep you updated with how his surgery goes. BURRITO BAR IS EXPANDING AGAIN! Buckle up amigos because the Burrito Bar is expanding again! After the success of our expansion to Victoria Point and Marsden, we are now moving to……Spring Hill and Everton Park. So get those taste buds ready for your favourite Quesadillas, Cocktails, Burritos and Ribs! 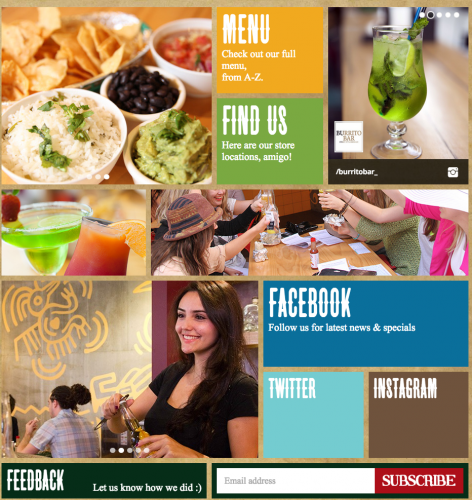 Welcome to our new website for The Burrito Bar. We have been excited to launch our new design and enhanced functionality, and the day has arrived! Just in time for our brand to expand to Marsden. Our website is now smoother and sleeker than ever!! Feel free to have a look around as we move into an exciting growth year for the brand. There is plenty more to come in 2015! 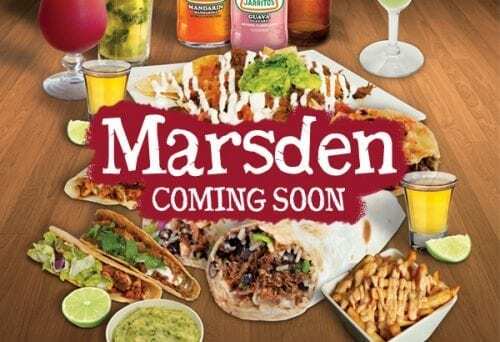 Finally coming to the south side, our 6th store will be opening in Marsden. Juicy details to come, so keep your eyes and ears open! Happy New Year 2015 Amigos! 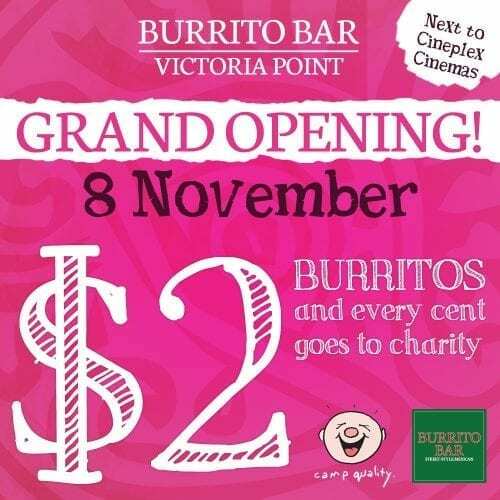 Hola amigos, on 8th November 2014, we’re doing it again at Victoria Point, enjoy $2 burritos all day long and you know what the best part is? The delicious burritos? It’s a great part but the BEST part is every dollar goes to Camp Quality to help children in need. There’ll be games, prizes and giveways and a mariachi band all day long. 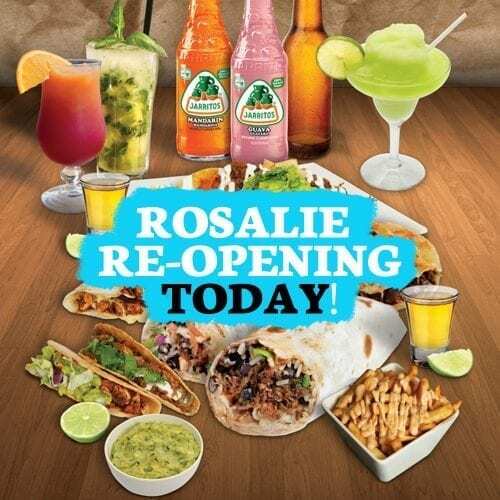 So kick back, there’s a new fiesta in town at Victoria Point Lakeside, next to Cineplex Cinemas! Victoria Point, the moment you’ve all been waiting for is finally here! The Burrito Bar is OPEN for business! Treat your taste buds to the street-style delights of Mexico with unique favourites from Chilli Con Carne to our very own Crispy Wraps and Taco Salads where the entire bowl is made of puffy tortilla pastry. Our full menu is available. You won’t be able to try them all in one sitting, but hey relax, we’re not going anywhere. We are fully licensed ;) Sample our extensive drinks menu and our unique Mexican inspired cocktails. There are heaps to discover so we’ll see you soon!